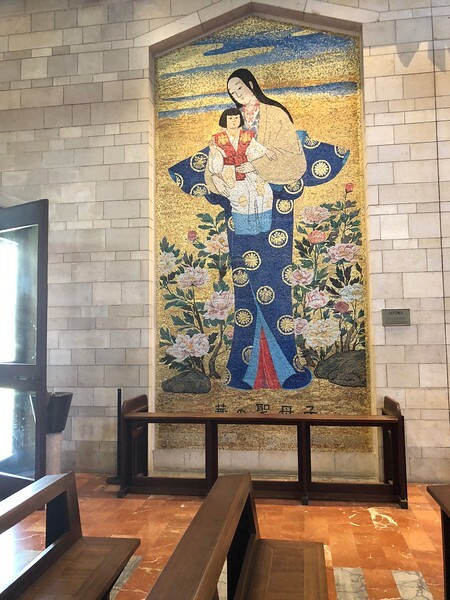 There are mosaics of Mary on all the inside walls of the Church of the Annunciation and in its courtyard. I think you can really see the universal symbolism of Mary since she is portrayed differently depending on the country. This mosaic is by a Japanese artist.